Posted on June 3rd, by Dr Rob Yeung . What’s your strategy for having a productive day? 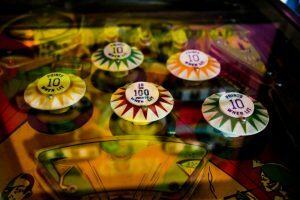 Unfortunately, a lot of ineffective people subscribe to the pinball method: allowing themselves to bounce from one task to the next, being diverted by requests and other interruptions as they come in, and generally being directed by other people’s whims. Clearly, that’s not a very productive way to get through life. Effort is contagious. Research by a team of psychological scientists led by Kobe Desender have found that people’s level of effort tends to be affected by the amount of effort being exerted by the people around them. So if you’re feeling distracted, go somewhere where lots of other people are busily working away. For example, I often have time in between client meetings so I head to various coffee shops across London to do some work. There are definitely some coffee shops that are more filled with tourists or friends chatting. And there are others where nearly everyone is on a laptop, working quietly. When everyone else is working intently on their computers, it’s hard not to end up working hard, too. Much of success in life is about your mental attitude. If you feel that you are strong and positive, you can help yourself to perform better. The researchers then tested the particpants’ performance on various tests of cognitive ability. The results showed that the second group who had recalled general successes performed much more strongly. Years ago, I worked in a company where telecommuting – working from home – was commonplace. However, one of the directors of the business suddenly decided that everyone should come into the office every single day. He was suspicious that people who were working from home were actually slacking off. In other words, telecommuting was sometimes actually associated with higher performance; at worst, telecommuting had no negative effect on performance. The researchers also found that people who did complex jobs tended to perform significantly more strongly when they were allowed to telecommute more. So there you go. If your bosses don’t allow you to work from home or other, non-office locations, point them in the direction of this research study. A recent study published in the Journal of Consumer Research looked at the effects of organised versus disorganised work environments on people’s willpower. Researchers Boyoun (Grace) Chae and Rui (Juliet) Zhu found that disorganised work environments led to more instances of what’s known as “self-regulatory failure” (i.e. lapses in willpower). So this is an easy one. If you want to stay focused and help yourself to get through your work, make an effort to keep your desk tidy. Actually, this method isn’t really to do with productivity – it’s to do with your creativity, your ability to come up with genuinely novel ideas. Researchers led by Ravi Mehta played background noise to groups of participants at different volumes (50 decibels, 70 decibels and 85 decibels) while they all took a test of creative thinking. Across a series of studies, the researchers found that 70 decibels of sound led to significantly more creative thinking. To put that into context, 50 decibels is a quiet room – like sitting in your otherwise empty house, listening only to the dull hum of your refrigerator. At the other end of the scale, 85 decibels is uncomfortably loud – like the sound of a ringing alarm clock. In the middle, 70 decibels of sound is akin to what you’d get in say a moderately bustling coffee shop or cafeteria. So if you are feeling frustrated that the creative ideas aren’t coming, consider managing the amount of background noise that you’re exposed to. If you’re in a very loud environment, perhaps wear ear plugs or noise-cancelling headphones. Or, if you’re in a very quiet environment, maybe head to a communal space such as a coffee shop – or play some kind of background noise to yourself through headphones (for example, I have been using the White Noise app for years – it’s available on Android and iOS as well as for Windows 10 and MacOS).